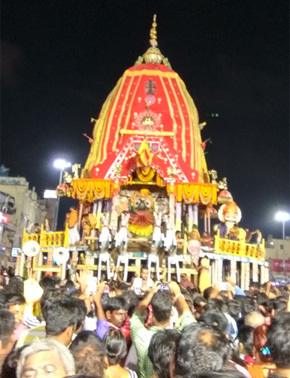 The chariot of Lord Jagannath is known as Nandighosha. 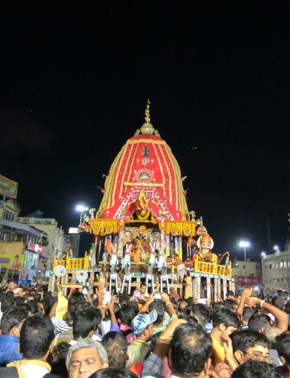 It is also known as Garudadhwaja and Kapidhwaja. 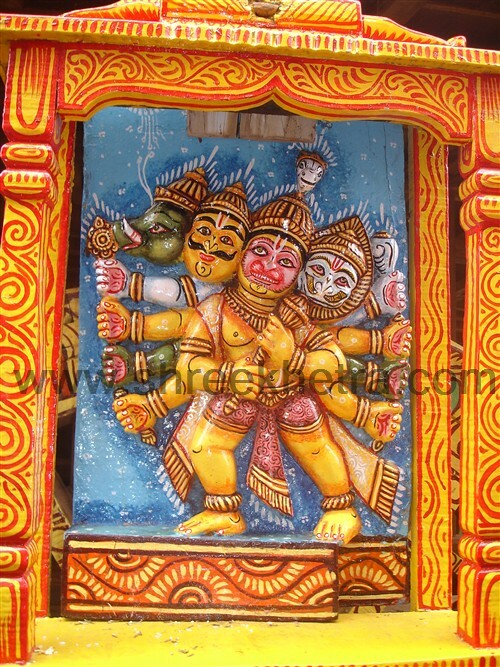 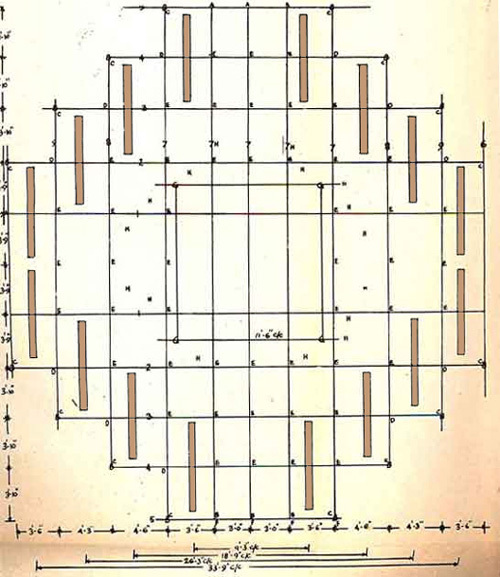 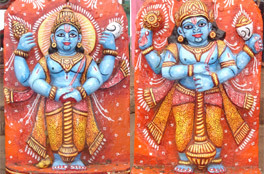 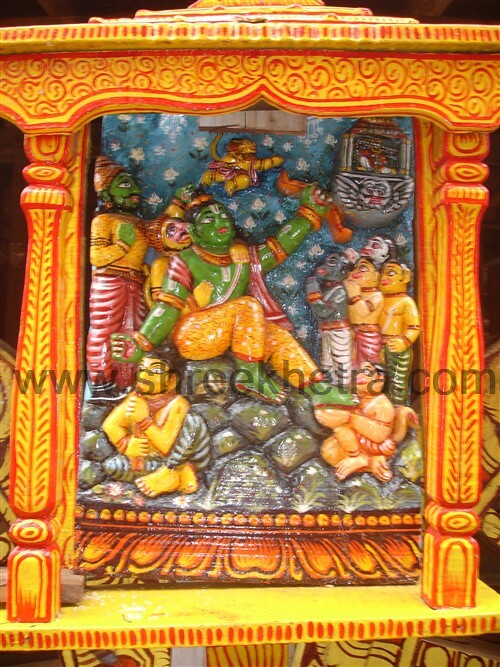 The easiest way to identify the Chariot of Lord Jagannath is by color of the covering of the chariot. 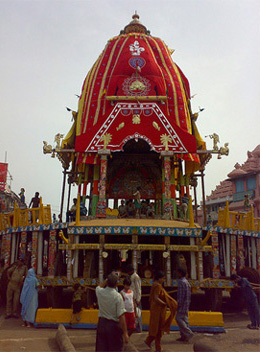 The chariot of Jagannath has a yellow and red color canopy and it is also the largest of the chariots. 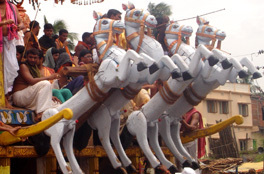 The Chariot has 4 horses and the color of the horses is White. 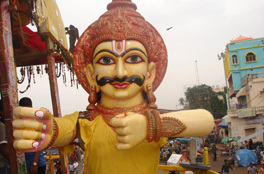 The height of the Chariot is 45 feet and it has 16 wheels. 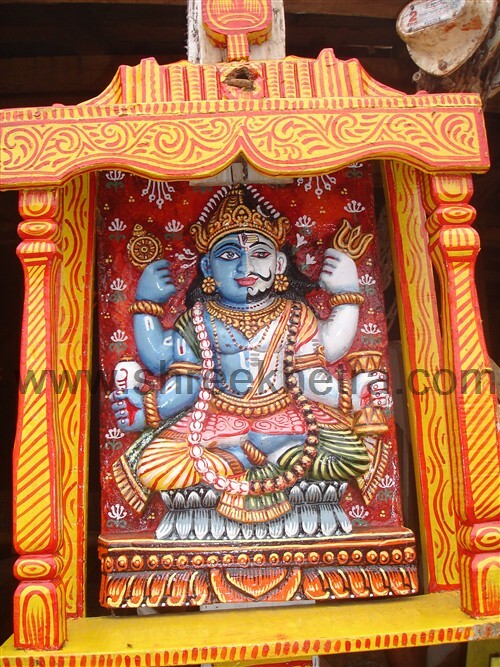 It also prominently displays the Sudarshana Chakra emblem. 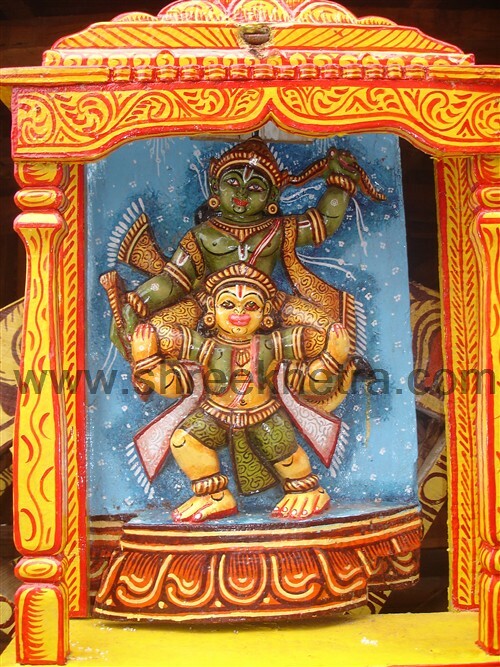 The guardian deity of the chariot is Garuda and the charioteer is known as Daruka. 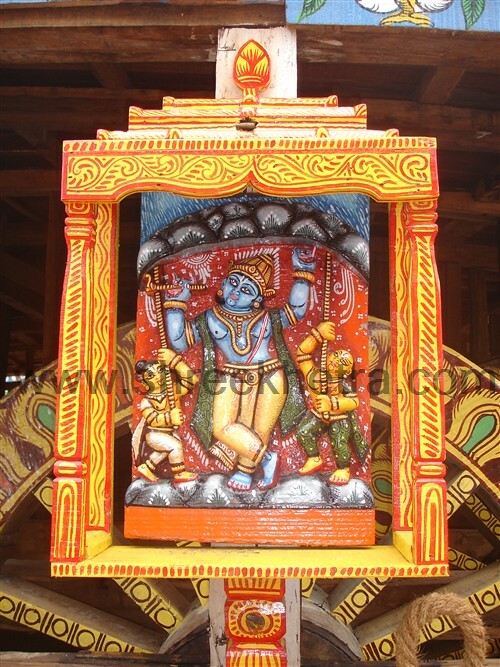 The flag on the chariot is known as Trailokyamohini. 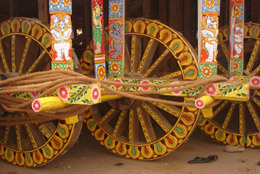 The rope that is used to pull the Chariot is known as Shankahchuda. 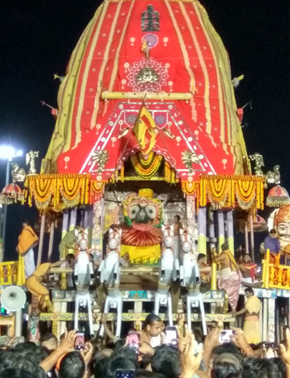 Along with Jagannath, the chariot also has the idols of Varaha, Govardhana, Krushna, Nrusimgha, Rama, Narayana, Trivikrama, Hanuman and Rudra. 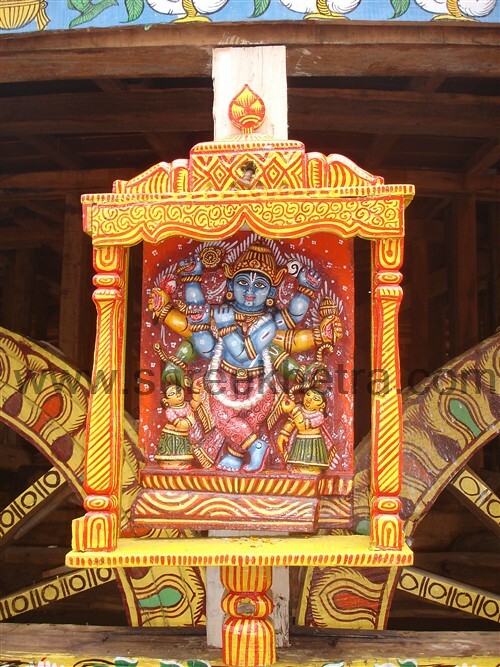 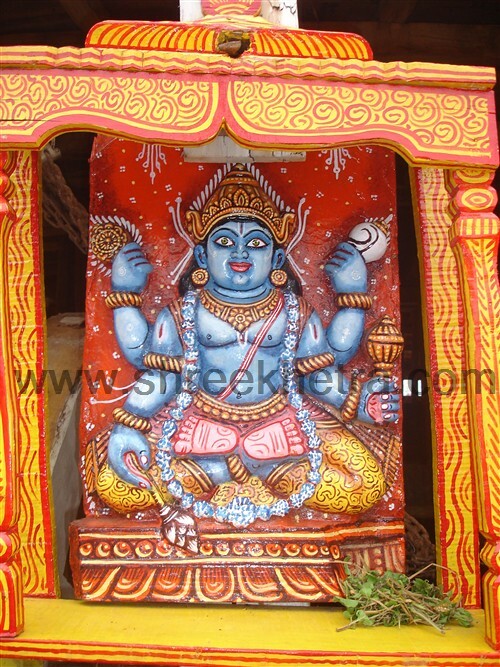 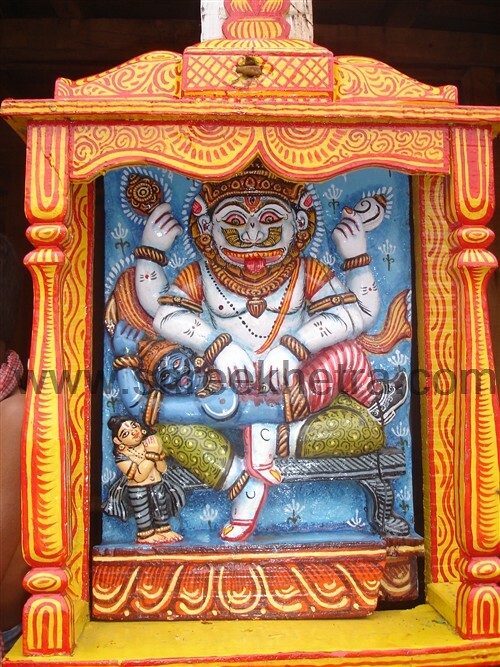 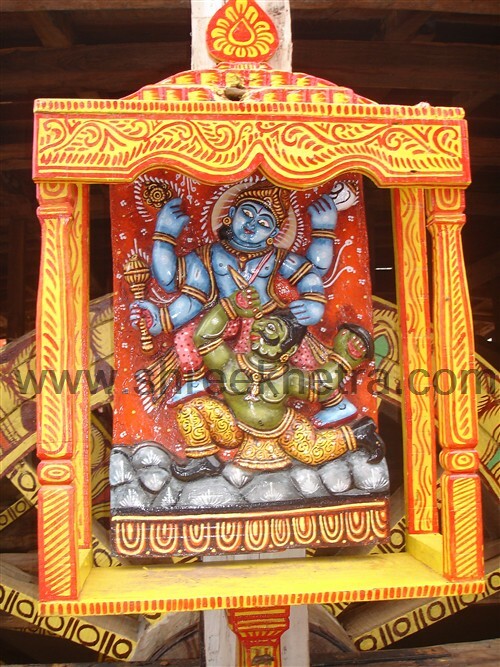 The face of the Chariot is known as Nandi Mukha and the weapons are Sankha & Chakra.